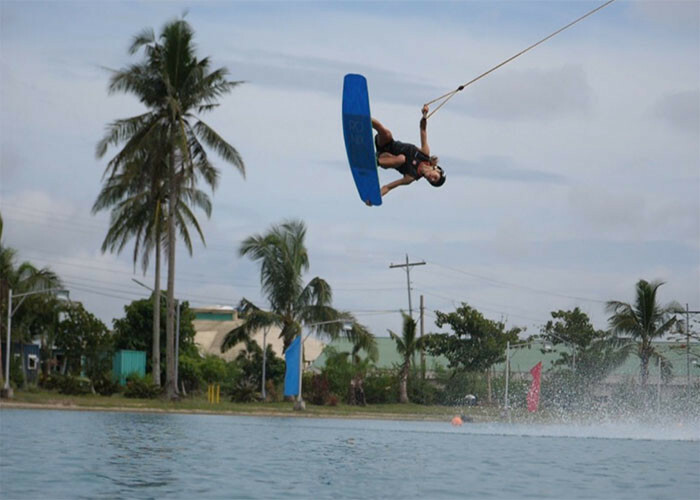 Camarines Sur, Philippines (October 1, 2017) – The Camsur Watersports Complex (CWC) provided the perfect destination for the 2017 WWA Wake Park World Championships presented by Nautique Boats. The final day of action showcased every feature to its full potential, leaving no question that CWC remains home to the most amazing riding in the world right here in paradise. Perfect weather kept the action moving all day long as the world’s best threw down in the most progressive finals in ever. Defending Champ Julia Rick (GER) couldn’t be shaken in the Pro Women’s Traditional final, coming back after a first trick fall as the only female rider to hit a 90210 all week. She went on to land a solid switch 270-F/S 270 out on the firecracker rail and a H/S B/S 720 off the kicker. 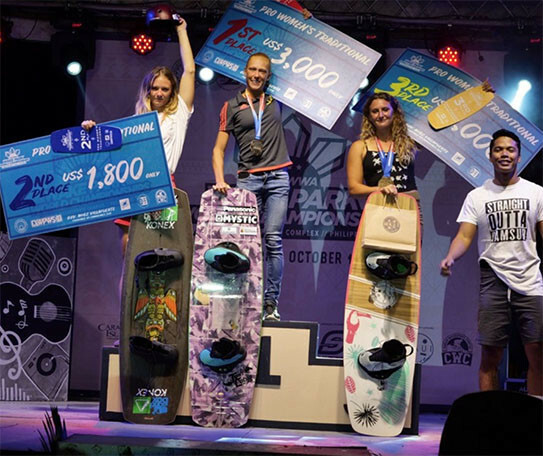 With consistent, dominating performances and the constant pursuit to push herself beyond what has ever been done, Julia has solidified herself to be considered currently the best female wakeboarder in the world. “I’m just beyond stoked to become the World Champion for the fifth time in a row and I want to thank the WWA and CWC for organizing this event along with all my sponsors, my family, and everyone that supports me. Thank you very much!” said 2017 Pro Women’s Traditional WWA Wake Park World Champion Julia Rick. 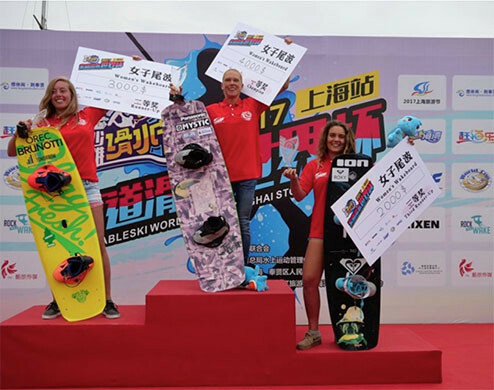 The first class Shanghai BiHai Jinsha Water Park was again the venue for this international Cable driven Wakeboard and Jump event which attracted athletes from 29 countries. Many saw this as a prime example of what the event could bring to the Paris 2024 Olympic Games if selected later by the IOC Programme Committee. In Wakeboard, again the standard was one of the highest ever seen. Defending Shanghai World Cup champions Dominik Guhrs (GER) and Julia Rick (GER) were here to defend those coveted titles. As the clouds passed by and the sun reappeared, from the very start, Julia Rick was in a league of her own with massive scores in the Qualifications. She is almost unbeatable at this stage. Her Raley with a 360 / 313 was the stuff of gold medals. Silver went to Sanne Meier and Bronze to Claudia Pagnini (ITA) for consistency throughout.